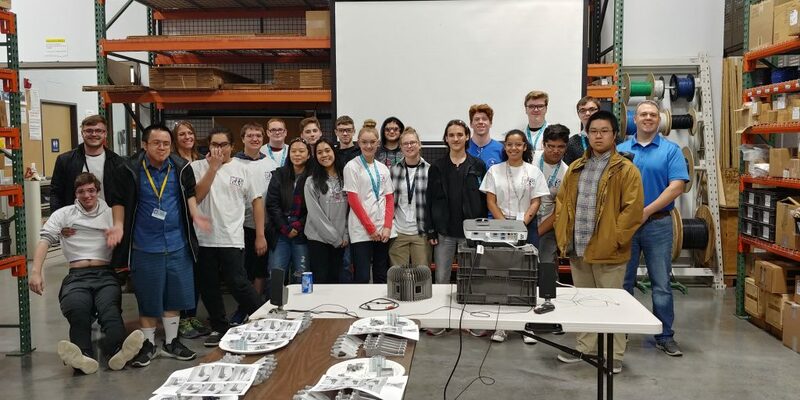 Students from local Century High School in Hillsboro, Oregon attended the Manufacturing Day Event 2018 at BDE Manufacturing Technologies, Inc. on October 05, 2018. The National Manufacturing Day aims to generate awareness about the future of manufacturing, lucrative career options in manufacturing, and clear the air about careers in manufacturing. Celebrated on the first Friday of October, the Manufacturing Day honors the tradition of manufacturing. It is conceptualized with the sole idea of inspiring the next-generation manufacturers. Every year, thousands of the USA-based manufacturers open their doors to students from technology-related organizations, technology enthusiasts, etc. According to the MFG Day website, in 2018, almost 2714+ events were conducted in honor of the Manufacturing Day. Started by Founding Partner Fabricators and Manufacturer’s Association, International (FMA) in 2012, the event works with a sole mission of altering the public conception about manufacturing as a career option. Along with FMA, a few prominent organizations including National Association of Manufacturers (NAM), the National Institute of Standards and Technology’s (NIST) Hollings, the Manufacturing Institute (MI), and Manufacturing Extension Partnership (MEP) have played a key role in making this event a national celebration. Insights on the Manufacturing Day Celebration at BDE, Inc.
At BDE, Inc., the students were welcomed by top company executives and employees. An informal introduction event was conducted to make the students feel comfortable. This tour concluded with the interactive session, where the students were encouraged to discuss their doubts regarding the various manufacturing techniques, their importance in the modern society, and qualifications and experiences required to excel in the manufacturing field, etc. As every year, the students enjoyed the refreshment and appreciated our efforts before leaving the facility. For more information about the event, or our services, please contact us at the earliest.